The evolutionary history of the wolf-like canids of the genus Canis has been heavily debated, especially regarding the number of distinct species and their relationships at the population and species level [1, 2, 3, 4, 5, 6]. We assembled a dataset of 48 resequenced genomes spanning all members of the genus Canis except the black-backed and side-striped jackals, encompassing the global diversity of seven extant canid lineages. This includes eight new genomes, including the first resequenced Ethiopian wolf (Canis simensis), one dhole (Cuon alpinus), two East African hunting dogs (Lycaon pictus), two Eurasian golden jackals (Canis aureus), and two Middle Eastern gray wolves (Canis lupus). The relationships between the Ethiopian wolf, African golden wolf, and golden jackal were resolved. We highlight the role of interspecific hybridization in the evolution of this charismatic group. Specifically, we find gene flow between the ancestors of the dhole and African hunting dog and admixture between the gray wolf, coyote (Canis latrans), golden jackal, and African golden wolf. Additionally, we report gene flow from gray and Ethiopian wolves to the African golden wolf, suggesting that the African golden wolf originated through hybridization between these species. Finally, we hypothesize that coyotes and gray wolves carry genetic material derived from a “ghost” basal canid lineage. Mekonnen, Addisu; Fashing, Peter; Sargis, Eric J.; Venkataraman, Vivek V.; Bekele, Afework; Hernandez-Aguilar, Raquel Adriana; Rueness, Eli Knispel & Stenseth, Nils Christian (2018). Flexibility in positional behavior, strata use, and substrate utilization among Bale monkeys (Chlorocebus djamdjamensis) in response to habitat fragmentation and degradation. American Journal of Primatology. ISSN 0275-2565. 80(5) . doi: 10.1002/ajp.22760 Full text in Research Archive. Atickem, Anagaw Meshesha; Cooper, David; Kock, Richard; Rueness, Eli Knispel; Fisher, Martha; Bekele, Afework; Loe, Leif Egil & Stenseth, Nils Christian (2016). Immobilization of Mountain nyala (Tragelaphus buxtoni) in the Bale Mountains, Ethiopia. Gnusletter (online). ISSN 2304-0718. Rueness, Eli Knispel; Naidenko, Sergei; Trosvik, Pål & Stenseth, Nils Christian (2014). Large-scale genetic structuring of a widely distributed carnivore - The eurasian lynx (Lynx lynx). PLoS ONE. ISSN 1932-6203. 9(4) . doi: 10.1371/journal.pone.0093675 Full text in Research Archive. Rueness, Eli Knispel (2016, 03. juni). Når ble hunden menneskets beste venn?. [Internett]. forskning.no. Mekonnen, Addisu; Fashing, Peter J.; Bekele, Afework; Rueness, Eli Knispel; Hernandez-Aguilar, Raquel Adriana & Stenseth, Nils Christian (2014). Effect of habitat fragmentation on the diet of Bale monkeys (Chlorocebus djamdjamensis) in the southern Ethiopian Highlands. Bahlk, Sunniva H. & Rueness, Eli Knispel (2013). Can hybridization be detected between African wolves and sympatric wolf-like canids in Ethiopia?. Rueness, Eli Knispel & Haraldsen, Kirsten Borse (2012). 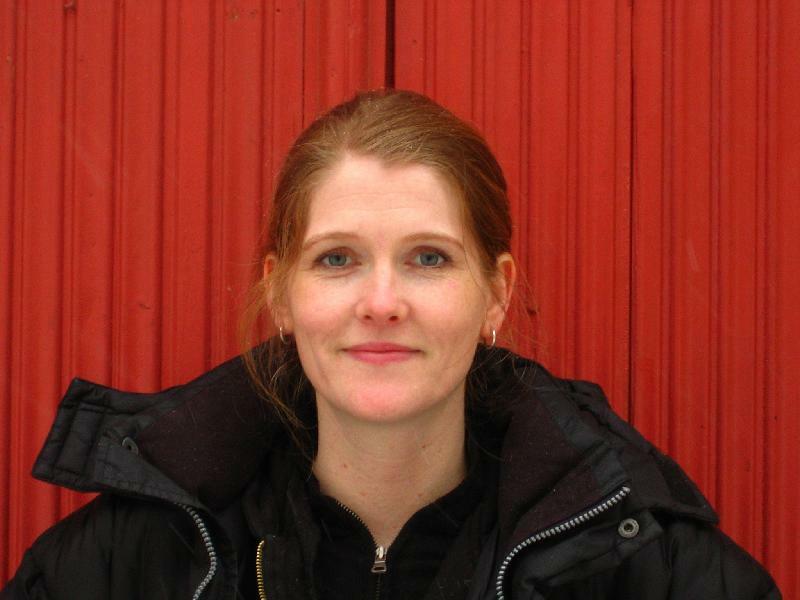 Kristine Bonnevie: Biolog i brytningstid. Museum for universitets- og vitenskapshistorie. Rueness, Eli Knispel (2011, 29. januar). Ancient Egyptian Jackal God, Anubis, is Actually a Wolf God!. [Internett]. Suite101.com. Rueness, Eli Knispel (2011, 31. januar). Experts find kin of Indian wolf in Africa. [Internett]. MSN News. Rueness, Eli Knispel (2011, 30. januar). Golden Jackal Subspecies is Actually First True African Wolf. [Internett]. Nature.com. Rueness, Eli Knispel (2011, 01. februar). Sjakal er gråulv. Aftenposten. Rueness, Eli Knispel (2011, 28. januar). That Ain’t No Jackal: New African Wolf Species Identified. [Internett]. Wired Science. Rueness, Eli Knispel & Stenseth, Nils Christian (2011, 26. januar). Egyptian jackal is actually ancient wolf. [Internett]. http://news.mongabay.com. Rueness, Eli Knispel & Stenseth, Nils Christian (2011, 28. januar). New African wolf discovered. [Internett]. University of Oxford News. Rueness, Eli Knispel & Stenseth, Nils Christian (2011, 03. februar). Sjakal ble ulv. [Internett]. Forskning.no. Rueness, Eli Knispel & Stenseth, Nils Christian (2011, 26. januar). The cryptic African wolf: Canis aureus lupaster is not a golden jackal. [Internett]. Science Daily. Rueness, Eli Knispel & Stenseth, Nils Christian (2011, 09. februar). Walk Like An Egyptian: Jackal Is A Wolf. [Internett]. Cryptomundo.com. Rueness, Eli Knispel; Asmyhr, Maria Gulbrandsen; Atickem, Anagaw Meshesha & Stenseth, Nils Christian (2009). Stool as a tool for mapping mammalian diversity. Rueness, Eli Knispel (2006, 10. februar). Darwin Day debatt. [Radio]. P4. Rueness, Eli Knispel (2006). Derfor feirer vi Darwins fødselsdag. Dagbladet. ISSN 0805-3766. Rueness, Eli Knispel (2006). Kristine Bonnevie and modern evolutionary biology. Rueness, Eli Knispel & Stenseth, Nils Christian (2006, 10. februar). Darwin Day. [Radio]. Verdt å vite, NRK. Rueness, Eli Knispel & Sætre, Glenn-Peter (2006). Introgression Between Nightingale and Thrush Nightingale in Europe; Patterns of Polymorphisms on the Z-Chromosome and Autosomes in a Hybrid Zone. Rueness, Eli Knispel & Pigliucci, Massimo (2005). Deconstructing Genetic Architecture. Rueness, Eli Knispel & Stenseth, Nils Christian (2005). Genetic Diversity and Demographic History of Eurasian and Canadian Lynx. Caulacanthus ustulatus was originally described from Cádiz (SW Spain) as the only species of the genus in Europe. Specimens identified as C. ustulatus were recently recorded in Brittany, 600 km north of the known northern limit. The Pacific species C. okamurae has been placed in synonymy with C. ustulatus on the basis of morphological similarities. DNA sequences (RUBISCO spacer and rDNA ITS) revealed two distinct genetic types: (1) Isolates from China and Brittany and (2) Isolates from Gibraltar and Portugal (Albufeira). Minor differences in morphological features between isolates of the two groups are seen in unialgal culture. We conclude that Caulacanthus in Brittany represents a Pacific introduction and that C. ustulatus and C. okamurae should be retained as separate species.